Race News. Marathon. New Shoes? March 17, 2013: LA marathon, here I come! 1. I was planning to run my last half marathon of the year Thanksgiving weekend and then rest up in December. Meh. Who needs rest. 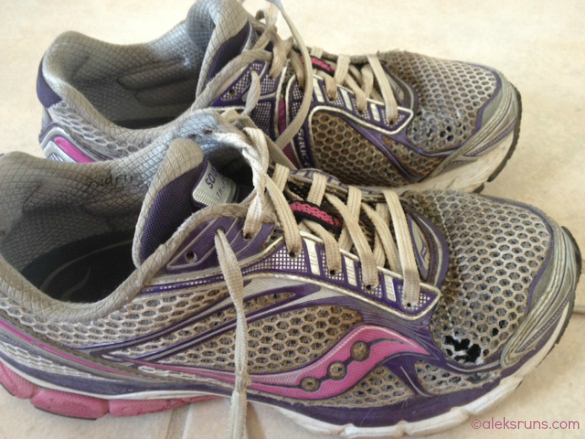 Marathon training begins November 12! 2. This year’s Hawaii vacation is a full two weeks in Maui in the beginning of December. Now, let’s add to that three long runs — two 13-milers and a 15 — shall we? 3. If I run both the LA Marathon and the Wipro San Francisco Marathon in June, I get a super-special extra medal. Hmmmmmmmmm. Who could resist adding yet another piece of metal to the pile? But I also want to run the Nike Women’s Marathon in October (fingers crossed) or the New York City Marathon in November (fingers double-crossed). Too many races, too little time! 5. I need new running shoes, pronto. Agree? 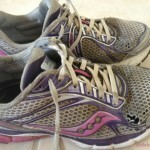 My Saucony Triumph 9 shoes; weird how I still think of them as “new”… poor things. 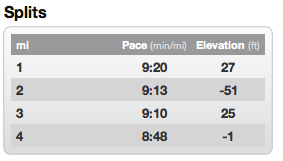 Easy three-miler today, supposed to be tapering for Marsh Madness half marathon this Saturday. Is it really a taper when this will be your third half-marathon in six weeks? Not sure, but it’s all good.